Lisa's athletic ability is the defining passion of her life, having been her focus since early childhood. When she is cut from her team, everything she has ever known is suddenly taken from her. George is a straight-arrow businessman who is accused of a financial crime, even though he's done nothing wrong. Although he may be headed to jail, George's honesty, integrity, and unceasing optimism may be his only path to keeping his sanity. George and Lisa meet on the worst day of each of their lives: she has just been cut, and he has just been served. When everything else seems to be falling apart, they will discover what it means to have something wonderful happen. 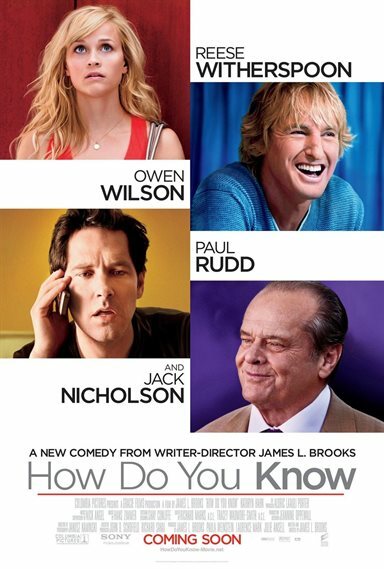 Download How Do You Know in Digital HD from the iTunes store. How Do You Know images are © Columbia Pictures. All Rights Reserved.